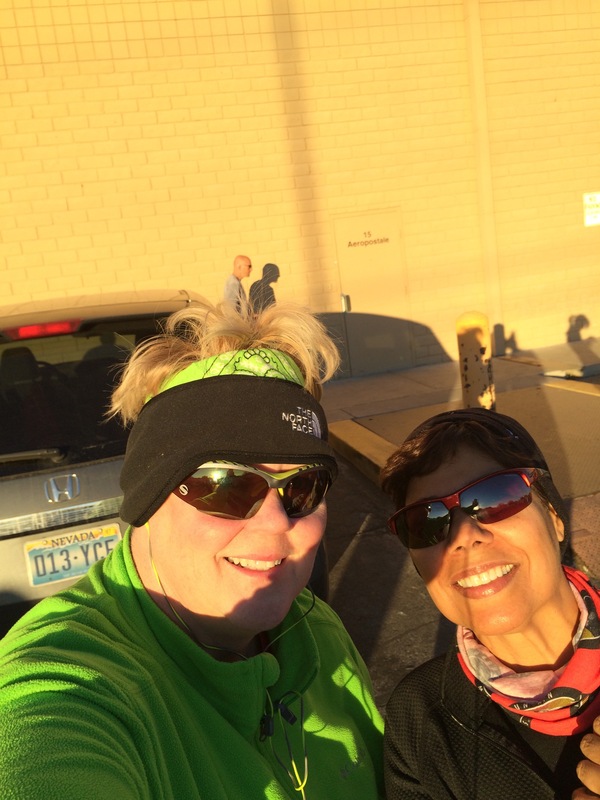 Back in 2007 when Stacey and I started doing monthly 5k walks, our third one was put on by The Las Vegas Track club called the Turkey Trot. It stands out in my memory because I was lapped by a 84 year old woman. She was nice and encouraging and…well let’s face it, 38 years older than me. I was 46 at the time. 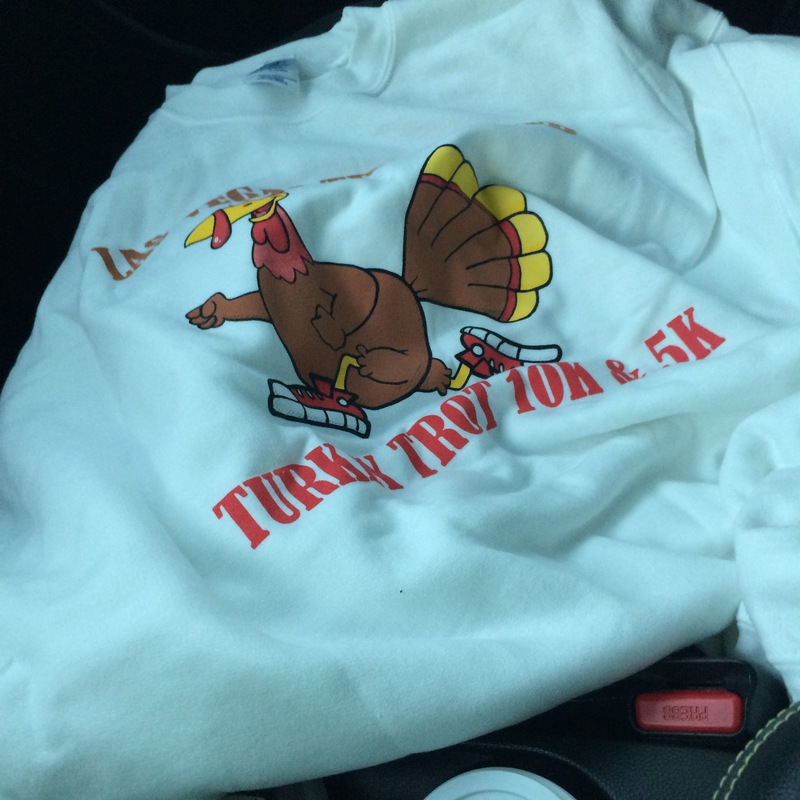 Here it is, eight years later and it is turkey trot time again. Stacey lives back east and the 84 year old lady passed a way a few years back. I happened to see her at a few races and then read her obituary. I felt a bit sad, but also inspired that she had spent those 84 years living! Now I do my 5ks with my great friend Maggie. With Stacey gone it was nice and fortunate to meet her and become good friends. Even better that we hike and walk and even do our adventures together. This was my third post knee surgery 5k. My goal was to get in under one hour. At the start line we were informed that due to the public works failing to inform the track club of road closure on part of the route, the 5k would be a bit short. I was glad my MapMyFitness app would give me my distance, time and split times as well so I could see what progress, if any, I had made since the Pumpkin Man we did in Boulder City last month. I had done ok in that walk, though my knee was pretty thrashed afterwards. Maggie Always Makes the 5k FUN! 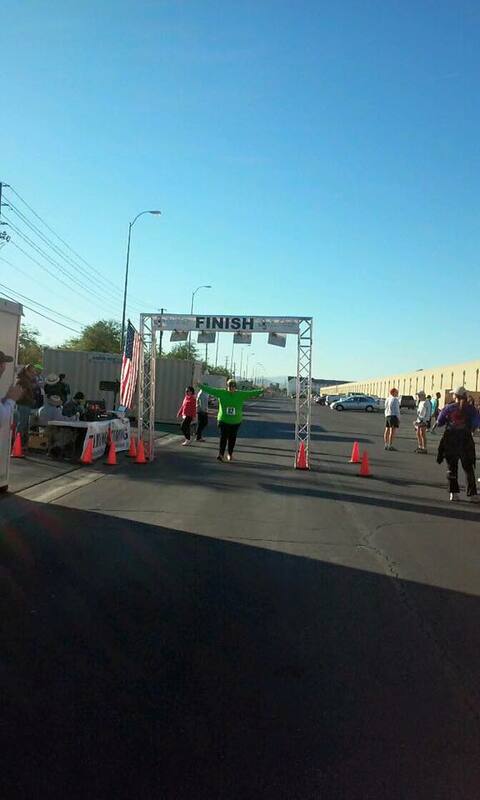 In my Twilight 5K at Lake Las Vegas I was fresh off a three month hiatus due to knee injury. I had meniscus removed about a week prior to the race. I was still pretty sore and had to use a walking stick for stability. My time was pretty slow. I really hoped to shave a lot off those times month to month. So far, I have!!!!!! Here is a break down: NOVEMBER 5k time was 1:34:46; OCTOBER 5k time was 1:06:50; NOVEMBER 5k was 57:45!! I even had my last mile and partial mile at under 17 minutes, which tells me I have more gas in the tank to use earlier! After I crossed the finish line I felt rejuvenated. I have not felt this good after a race in about 2 years. My weight is coming off, my diet is excellent and as a result, I am not taken down by a 5k any more. I have 4 months before my knee replacement surgery and I am ready to use it to get as much activity on this old knee as I can before it becomes medical waste. No pain in the now gel filled knee; no joint or back pain; no complete post race stiffness. I was overjoyed by the progress I have made in three months. My overall time is substantially improved as the knee has improved. The biggest real meter is teh time between October and November. I cut 12:05 from last month. That time improvement from November to October does not tell as much given the surgery was a week prior. o looking from October to November makes me see that there has been improved health with better eating and more exercise in between 5k events.